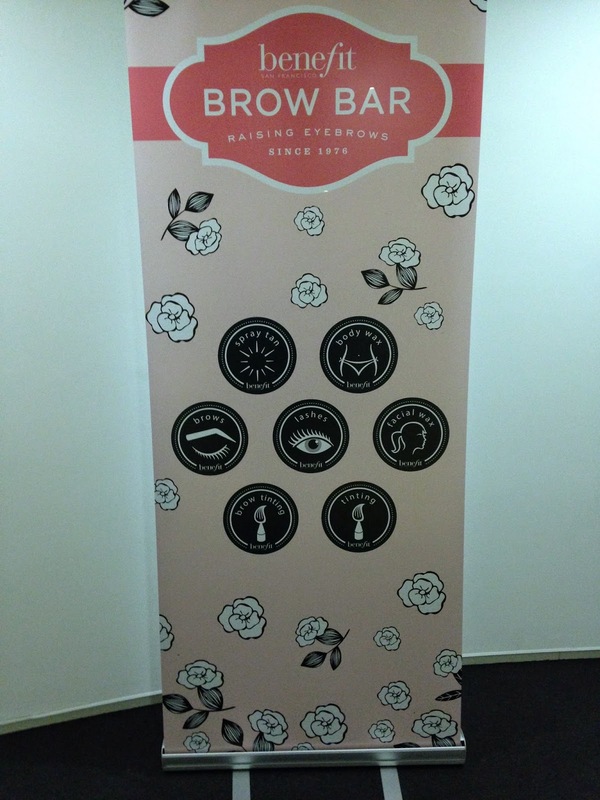 When Benefit's Global Brow Expert, Jared Bailey, made a pitstop in Birmingham to launch Benefit's Bling Brow set to a bunch of beauty bloggers, I went along to meet the pros and talk brows. Held in Staying Cool apartments in the Rotunda, Jared Bailey and Lisa Potter-Dixon, Head Make Up and Trend Artist for Benefit welcomed us in with champagne and macarons. Hailing from San Francisco, Jared was an absolute riot and great company, as well as a font of brow and beauty knowledge. 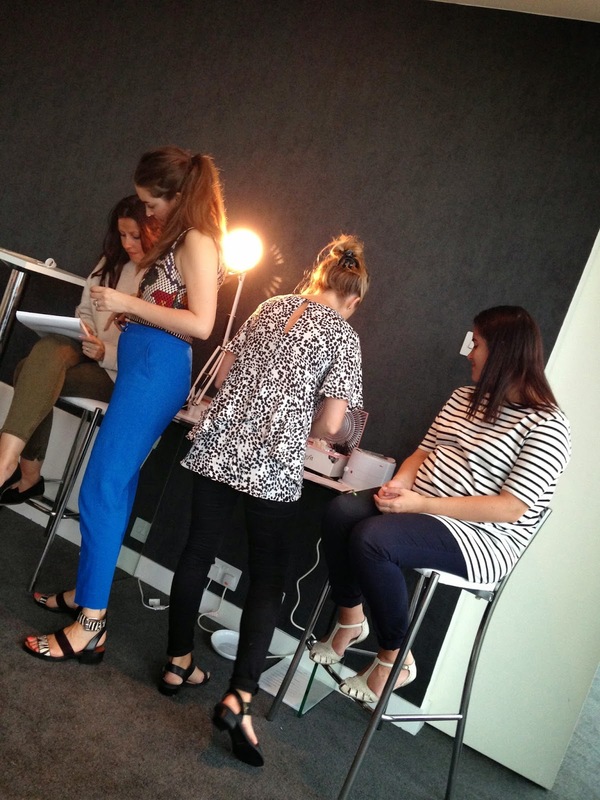 As well as hosting a brow Q&A, we were treated to an eyebrow tint and shape too and got to watch as blogger brows were transformed into marvellous masterpieces. I managed to take a few snaps on my phone before I had to rush off but the Benefit gals were kind enough to invite me back instore for a Benefit brow experience as I couldn't stay long. I was booked into Debenhams Bullring and the Benefit counter was heaving when I arrived! Girls and ladies of every age were booked in to have a brow tint, shape and wax and I couldn't believe how busy they were! Apparently, they usually have two girls on counter doing brows. These pictures are seriously unflattering but I had to give you an honest look at what we were dealing with brow wise and I had purposefully left my brows to grow out before my appointment. First off, marks were made on my brows as per the Benefit Brow Mapping technique nicknamed the Benefit Arch. The first mark is a line from dimple of the nose straight up to the brow. The next mark is made by drawing a line from the edge of the nose through the iris or the eye to find the perfect arch. This is great for lifting the eyes! Lastly, mark 3 is made by drawing a line from the edge of the nose through the outer corner of the eye to the brow; this has an eye opening effect. Following these points, my brows were waxed into a perfect arch. Here's the best bit - as you're on counter and yes, you will look a little red, Benefit will cover up any redness and fill in your brows for you as part of the Brow Bar experience. Unlike other salons etc where you're left to walk out looking a little flushed, Benefit will have you party ready in minutes. I headed back to the counter to have my brows filled in using Brow Zings in Dark. A combination of powder and wax, we used both on my brows to fill them in and create an even, polished finish. I was so impressed with the Brow Zings that I purchased my perfect shade, Dark, and took home this fab little kit. As well as the wax and powder, the compact also includes a mirror, mini pair of tweezers and two brushes to help you get the perfect arch at home. I also got to try out a few other products such as Watts Up and the new Push Up Liner. 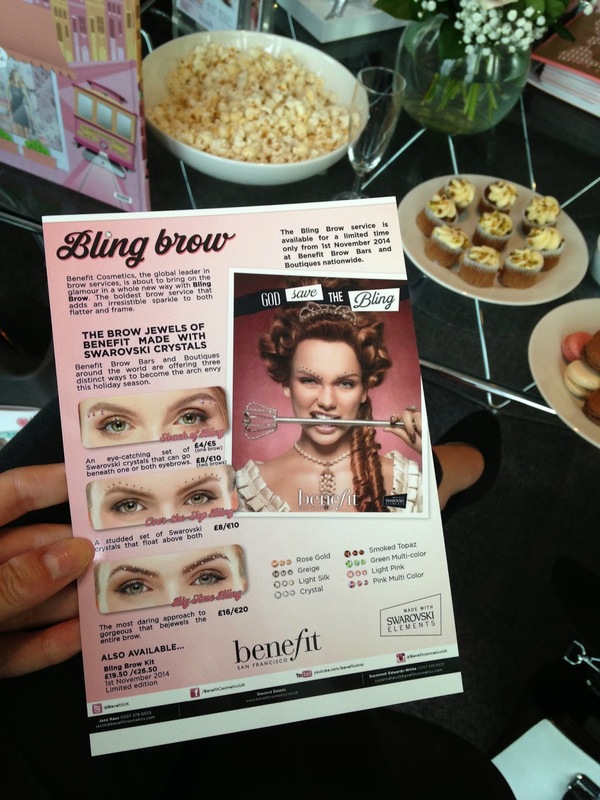 As well as Brow Shaping and Tinting, from 1st November Benefit will also launch the Bling Brow service. For a limited time, you can visit a Benefit counter to have your brows blinged up! From £4 for one brow or £8 for two, you can have a Touch of Bling (3 Swarovski crystals under the outer corner of the eye), Over the Top Bling (floating bling above both brows) or Big Time Bling (crystals over the top of the brow). Even better, theres a huge choice of colours from Light Pink to Green to match brows to outfits over the party season. A big thank you to Jazz at Benefit, Jared and all the guys at the event for having me as well as the Benefit Debenhams Bullring team! Bling Brow launches nationwide on 1st November, just in time for Christmas and New Year. 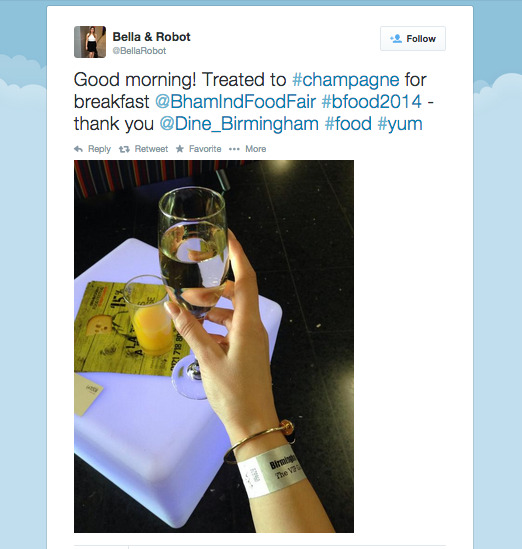 You may remember back in 2013, the team behind Dine Birmingham hosted an event called Future Foodies at Hotel La Tour. This year, the event was back in a slightly different format and new name; Birmingham Independent Food Fair. Saying exactly what is on the tin, the event is a celebration of Birmingham's Independent food scene, something which I'm passionate about. There is an absolute wealth of independent restaurants, cafes, producers and suppliers in the city and it's surprising to many when they realise just how lucky we are to have so many great venues to choose from. For a small entry fee, foodies were able to come in and try out 8 samples from any of the traders including food and drink. Once you've tried out some of the food on offer, you could purchase anything from bread to paella or chocolate from the stand of your choice. Some of my favourite samples came from Le Truc, where I got to try out this amazing goats cheese popcorn. A piece of goats cheese, flavoured with some secret ingredients and served with beetreet, rocket and a caramelised nut brittle, I couldn't get enough of this! I also loved the chocolates, particularly the fruity truffle from Henley Chocolates and the fantastic wheat free South East Asian cuisine from Hibiscus Grove Food Co. I also had a chat with Alok from Soul Tree Wine and had a mini education in wine tasting which I really want to improve on! Peel and Stone loaves - my favourite picture! Wandering around the Millennium Point venue, I tried out some fantastic food from Le Truc, Henley Chocolate, Kneals Chocolates, Don Diego and The Authentic Tapas group and there was plenty of choice. Henley Chocolates - Passionfruit flavour I think but gorgeous and fruity! I was lucky enough to be able to attend as a blogger and access the VIP area where Hotel La Tour had put on a champagne breakfast and canapes later on in the day. You may have even seen my tweet! The hospitality of the Hotel La Tour team was gracious, super friendly and extremely professional, definite 5 Star service! I also bumped into the beautiful Chloe from Gastonomic Gorman and had a quick snap as well as a chat. I took my camera and tried to capture the atmosphere for you guys, hopefully you'll be able to see how busy it was and it only got busier as I came in pretty early. My favourite picture is of the loaves of bread from Peal and Stone. Like it? 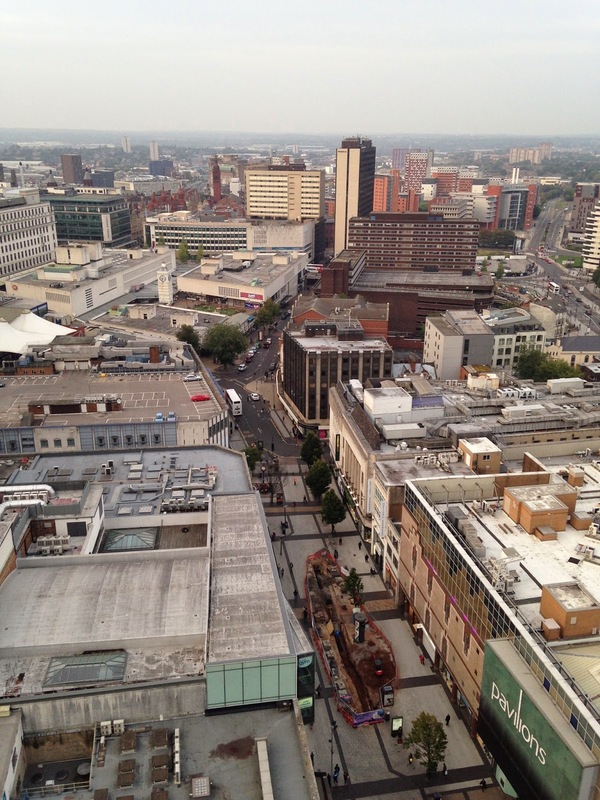 Did any of you go the Birmingham Independent Food Fair? What did you think? Kirsty Lo is not one to do things by halves. When it came to her birthday and the launch of her website, www.kirstylo.com, Kirsty pulled out all the stops and hosted a bash at the Marco Pieree White, Laurent Perrier Champagne Bar in The Cube, Birmingham. 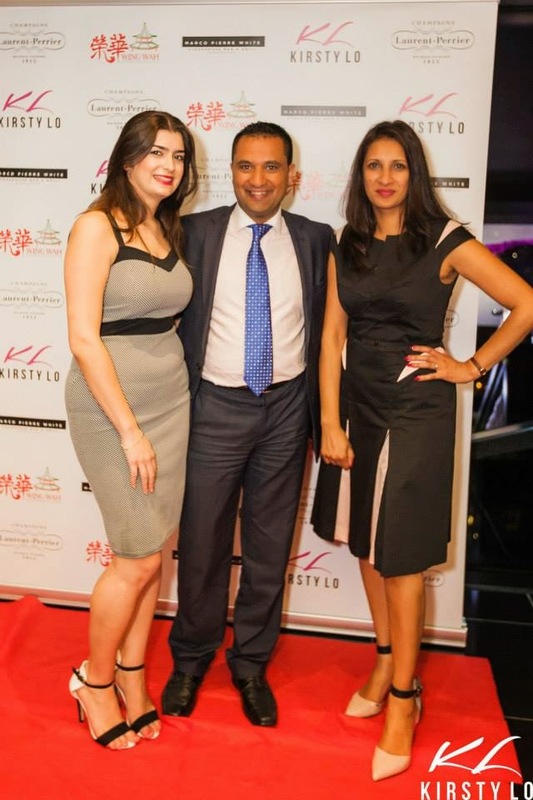 One of the most glamorous venues in Birmingham, the glam Take Me Out star hosted an evening celebration and even had the Mayor of Birmingham make a speech! As the party was in such a fabulous location I couldn't let the side down so went for this little monochrome body con number. Needless to say it's the tightest dress I've ever worn!! 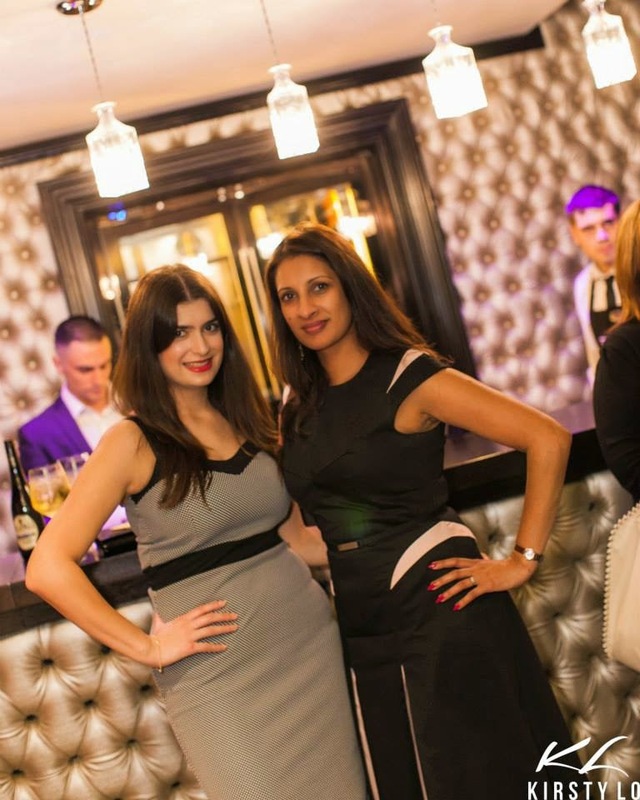 Here's a few pictures from the event with Anita from Delicious PR. 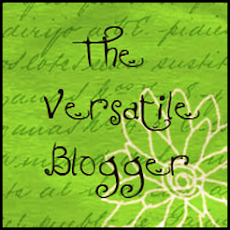 A big thank you to Kirsty Lo and Happy Birthday to you lovely! Also, a big thanks to Karen Julia Photography for taking pictures on the evening. To see all the pictures from the night click here. 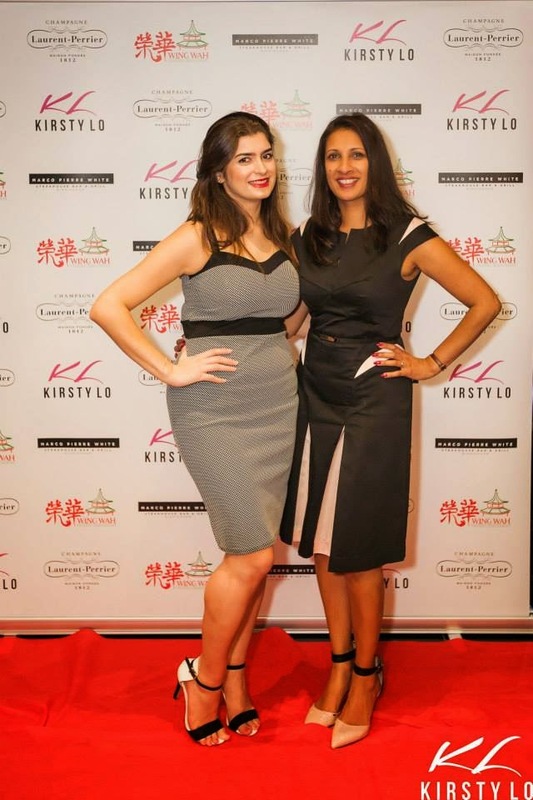 Rose from Mixed Gems Beauty recently hosted a fabulous beauty blogger event in Selfridges Birmingham. Hosted in a private room, we met up at the Marc Jacobs Daisy Dream stand and were given a token to use in their special vending machine. I received a sample of the new fragrance whilst there was also a full sized bottle up for grabs! We made our way upstairs and found a room laid out with stands from brands including NARS, Kiehls, Creme De La Mer, GHD, Tom Ford, Charlotte Tilbury and Estee Lauder. However, before we dug into the make up the first thing we noticed was this fabulous display of personalised Krispy Kreme doughnuts. YUM! This was such a thoughtful touch and there was a frenzy as we all clambered to take a picture with our doughnut. But I digress. As well as having a catch up and natter, we were able to sit down and spend some quality time with the beauty hall girls and find out more about products new and old. Kiehls Calendula Toner - with real flowers! I sat down with Nikki from Kiehls to talk about their new product, the Hydro Plumping Re Texturizing Plumping Concentrate, a serum that is packed full of hydrating glycerins to provide up to 72 hours moisture. I was also drawn to the Calendula Herbal Extract Alcohol Free Toner as I love natural products. Inside the bottle you can see REAL FLOWERS!! Amazing. I also love the Creme De Corps and just need to dive in and purchase this beauty; look at that soft whipped texture. I then had a look at NARS where Amy from PYT had her nails done and we both had a play with the beautiful and soft eyeshadows. 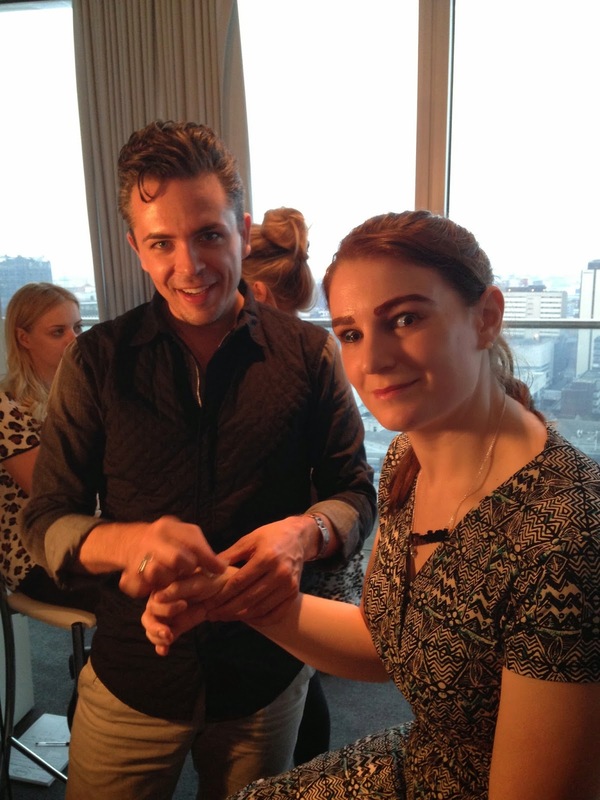 I then went over to Estee Lauder where they are offering 8 minute beauty makeovers. I opted for the lip makeover and tried out this gorgeous Pure Color Envy Lipstick in Eccentric and was also reminded of how accenting the cupids bow with a highlighter makes a huge difference. Charlotte Tilbury Luxury Palette The Dolce Vita - how pigmented is that bottom left colour? Charlotte Tilbury has some of the most divine products out there in some seriously glam packaging. Lastly, I got to try out some insane items from Tom Ford! Just as the evening was wrapping up I managed to squeeze in a few minutes with Karen from Creme De La Mer, but I'm dying to go back for a full consultation!